A delicious Cola gummy, filled with a sour Raspberry sherbert filling. 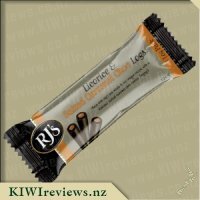 RJs Licorice is a Kiwi icon and the only brand to buy when wanting a licorice treat. I love seeing all the exciting new products that they bring out and these Sour Twisters Logs are no exception. When I saw them I just had to try some. Luckily I received a few packets in my latest review parcel so I cut two packets up (and saved the third for my kids to try at home) and shared them around my office to get a range of reactions and opinions. We actually took a poll and it was decided that 80% liked the product just as it was, 10% just liked the outer and the remaining 10% just liked the inner. 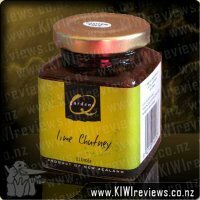 I also asked what could be improved upon and the overwhelming response was the sourness. On the packet it&apos;s advertised as being sour so everyone was expecting a much stronger sour taste but the majority of us couldn&apos;t taste very much sour flavour at all. The raspberry sherbet was tasty was it wasn&apos;t overly sour which left us a little disappointed. When I got home I opened up the last packet and cut it up for my kids and husband to try. Thy were a little dubious since the packet said it was sour but I assured them it wasn&apos;t too bad so both kids jumped in and tried some. They both really really liked it. They liked it so much that my husband only got to try one small bite and them the two kids devoured the rest. My daughter said the sherbet taste was fer favourite and on her last piece she actually separated the sherbet from the licorice and ate them separately. 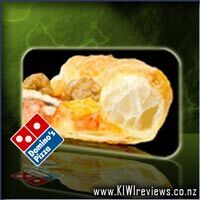 My son loved it just how it was and like the little sour taste he got. Because I only had small cut up pieces of this I&apos;m not sure of the effect of eating a whole bar in one go but I also don&apos;t think I&apos;d ever need to eat an entire bar on my own as the small pieces I had were ample to satisfy a sweet craving I had and fill me up enough until my next full meal. 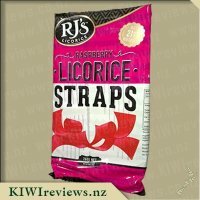 Overall, I would purchase this interesting take on their classic licorice again, my kids will make sure of it! 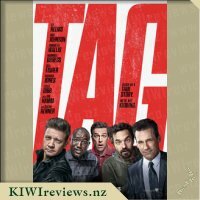 I am a huge RJ&apos;s fan and usually they can do no wrong but mention the word &apos;sour&apos; in the title and I usually turn my head - its not something I jump at. My girls have been brought up with RJ&apos;s and they adore anything and everything done by the company and as soon as they saw this is the stores they were both begging to try it. The know the Logo and they know I usually jump at everything but I was dead against this. When it came up for review I thought what have I possibly got to loose. Looking at the wrapper it does not scream Cola to me but more of a caramel. So I was a little curious as to what it was going to taste like. The image of the log has the Cola on the outside and the Strawberry on the inside which is the complete reverse as to what I imagined it would be. 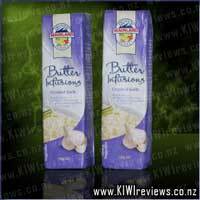 Opening the packet is a breeze and you are met with a nice sweet smell. Seeing it for the first time in the solid form did resemble more of a cola look and it I found it looked actually really appetizing. Taking my first bite reminded me of Hubba Bubba - the old bubble gum and I was rather excited. It was just so yummy and if they had just stopped there I would of been there number one customer. But then it evolves into a different flavour one which is more sweet - I wouldn&apos;t say its Raspberry its just a completely sweet taste and it takes over the cola flavour and then you are left with the sour flavour bashing thru and your whole mouth shudders with the after taste. It is rather weird as you have four stages the first is great the second is okay, its tolerable and then the third and forth level co-exist together and they just don&apos;t seem to work. My husband said the same thing the outter layer is great but the center is just too over powering and then it all hits at once. 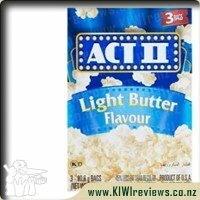 Its a shame as that initial taste just has so much promise and it is yummy and you want more and you don&apos;t want it to end but then its kind of weird also cause you are thinking you are not suppose to swallow bubble gum but you just want to eat it but then the other flavours come in. Not one I will be having again. I am always a sucker for RJ&apos;s products and when they come up for review I always put my request in - and this time I was lucky! I opened my most recent parcel and found not only this cola and raspberry twister, but another of their flavours too. 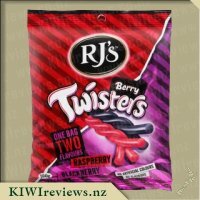 I was interested to try the Twisters, especially because they aren&apos;t a licorice product. 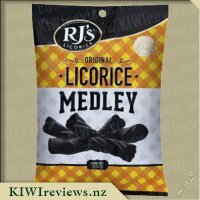 I LOVE RJ&apos;s licorice but I was keen to see if something else would take one of the top spots when it comes to treat food. 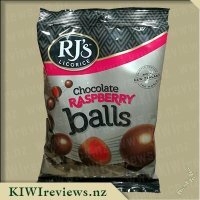 The packet is typical of RJ&apos;s. I love that their packaging and branding is so consistent, it makes it easy to find RJ&apos;s products on the shelf which means there is no way I can accidentally pick up another product when I want theirs! The colour of the packet matches the flavour, and looking at the other flavour I received the colour matches its flavour too which makes it easy to know what flavour you are selecting without having to read the packet too closely. After all - it&apos;s all about things being easy and convenient right?! I broke off some of the Twister to give to my partner to try. His first response was that it tasted like bubble gum, the old school pink bubble gum we used to get as children. I knew exactly what he was talking about - the hard pink squares that were wrapped in paper. I don&apos;t even know if such a product exists anymore! Upon trying my first bite I had to agree with him. Whether this is because I had the idea in my head or not who knows, but the two flavours together certainly tasted like this old school bubble gum, although as you got through the cola flavour became stronger. 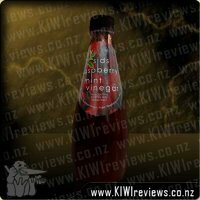 I enjoyed this flavour a lot more than the other flavour I had to review. I really do enjoy the texture of this product. It is nice and soft but doesn&apos;t really stick to your teeth. The sherbert middle has a slightly powdery texture but this fits with it being sherbert. 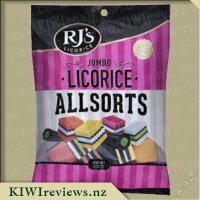 While the Twisters don&apos;t take the place of the RJ&apos;s licorice products for me, this is a flavour I would buy again if I found myself wanting a more candy like product. First off packaging wise, I was actually rather (pleasantly) surprised by the size as I was expecting them to be smaller so that&apos;s a plus. I appreciate the use of the product colours in the packaging because for someone like me who prefers to be in and out of supermarkets quickly it means I can see it on the shelf and instantly know what it is, no searching or reading necessary. Oh and another thing I&apos;d like to mention is the fact that they actually are the size of the packaging that they&apos;re in! I&apos;m sure we&apos;ve all had the disappointment of opening a bag of chips only to discover it&apos;s two thirds air, so it&apos;s always nice to see a product being maintained to the size it&apos;s advertised as. I had no troubles with opening the packaging or with the licorice sticking to the inside of it so I&apos;d say it&apos;s definitely a mess-free snack. Appearance wise, well it&apos;s exactly as it&apos;s advertised to be; strands of cola licorice twisted together around a bright pink raspberry filling. It stays true to flavour, licorice tastes like cola, filling tastes like raspberry, and there&apos;s a sour note to it. For someone like me who has a strong preference and tolerance for sour candies I&apos;d have to say the sour factor was a little underwhelming, but as I have yet to find a candy that&apos;s as sour as I&apos;m wanting, I definitely wasn&apos;t disappointed by it. The filling was an interesting consistency, kinda grainy, made me think of bubble gum before it&apos;s chewed. So while not unpleasant, it was an interesting thing to experience which took a few more bites to get used to. I found that as I went the licorice did start to get overshadowed a bit by the stronger raspberry, so I&apos;m surprised to find that the lingering aftertaste was cola. 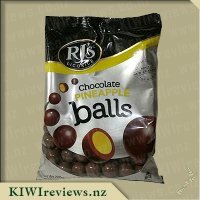 Overall I&apos;d have to say I enjoyed these and am likely to be getting them in the future, probably for long car trips when I want something sweet but slightly filling. However, to fit my personal preferences I&apos;d want a slightly bolder cola favour and more sour, but each to their own I guess. I&apos;d recommend buying these for long car trips because they&apos;re not messy, easy to open, and big enough to keep your kids occupied for a time. 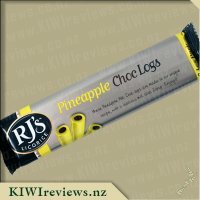 RJ&apos;s are a family favorite brand in my household, we pretty much love all of the RJ&apos;s range that is available in stores and more often than not at least one of these products manage to find their way into our supermarket trolley each week. Unlike other companies, RJ&apos;s seem to always be looking for exciting new flavor variations to add to their already delicious range, and we always get excited to see or hear of a new exciting product that is coming soon. Growing up Raspberry Coke was one of my favorite drinks though it wasn&apos;t very easy to find, even now I still enjoy mixing up this drink so I was very happy to see RJ&apos;s had made a yummy confectionery along the same lines as this. The Raspberry Cola Twister Logs come in a convenient 2 pack, which are great for chucking into your handbag or for keeping in the car for those moments where you feel the need for a sweet treat, or when you need something to bribe your child with! I love the foil packaging used for this product, and the colors used red and a brownish color both which perfectly complement the colors of the product inside. Not only do the colors stand out but the font really makes the packaging pop too, which makes it an easy product to identify on any supermarket shelf. When I arrived home with this yummy treat my family was lining up for a sample. I cut one of the twisters into 3 and we each had one, Miss 5 loved it and had fun unraveling the confectionery from the sherbet-like center which apparently was her favorite park, and my partner and I both loved the chewiness of the cola part which really did have a taste similar to that of cola and we both thought the raspberry sherbet center was the perfect complement in had a slight tanginess to it but it definitely wasn&apos;t sour. This is a great product one which I will buy again, especially with it being such a good price, well done RJ&apos;s on another product to add to your already wonderful range. I have a soft spot for most of the RJ&apos;s confectionery - but try to limit my consumption of them, just a little. Seeing a few products up for review that I had not tried I decided to request them and keep my fingers crossed. 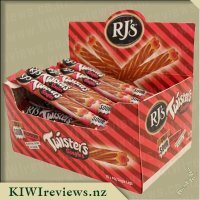 I was lucky enough to receive these Cola and Raspberry Twister Logs in my review box, so was pretty excited, as were the kids! The twister logs have a nice looking packet - colours that match the item inside and give you a good idea of what you are buying. The RJ&apos;s symbol is simple and bold, again so you immediately know who the candy maker is! The nutritional information is readily available on the back of the packet, and as expected from a treat food, they are high in sugar and glucose - but the flavours are also comprised of natural flavouring, and not too many things that I cannot pronounce - always a plus! Opening the packet is pretty easy - I personally prefer to cut the packet open - but did notice even with doing this - the log itself had stuck to the inside, so I had to end up pulling the whole packet off any way. My gannet children were still hovering around at this stage - so I grabbed another log from the review box and cut the two up making four pieces. I was glad to see that even half gives you a good amount. The flavour of the log was not too overpowering - but as you chewed (or sucked it as my youngest did) the flavour became stronger - I am not entirely sure what natural cola flavouring tastes like but it did not have a fake sugar kind of taste - which is good. Biting into the gummy outside to get to the sherbet filling was easy too, and the sherbet had a pink candyfloss type colour, so even without knowing you could have guessed raspberry or strawberry flavour. The raspberry was not super strong to be honest - I maybe expected a tarty "kick" to it that did not come. The dominant flavour by far is defintely the cola, but the flavours do compliment each other really well. All in all I really enjoyed these, as did the kids - which is a nice change to chocolate based treats, and a good choice for in the car or on journeys where you do not really want to take messy snacks. I would absolutely buy these again, and look forward to trying other flavours too. I like cola lollies so I was keen to see how this would taste and if it would have a good flavour to it or not. My two older kids have this a try with me, keen to eat as much as they possibly could. My eldest doesn&apos;t like any of the different flavoured Coke varieties, settling for plain coke, however he was happy to give this a try despite his doubts. They both remarked on the colour of the cherry filling, each saying they thought that it looked very tasty and smelled pretty good as well. The beauty of this is that it breaks apart easily so it was an easy task to split them up between everyone. My nine year old decided that the entire confection tasted delicious and that both flavours were well balanced and she wanted more and more. My ten year old decided that the cherry filling was delicious but that the Coke didn&apos;t really taste like Coke but overall it still tasted good. I agreed that the cherry was delicious but the Coke didn&apos;t taste like some and I found it left an unpleasant taste in my mouth. I did find this to be rather chewy, so had to watch how much I ate as I quickly learned that too much in my mouth led to it getting stuck in my throat, which wasn&apos;t fun at all. In the end, I only liked the cherry filling, so based on that, I wouldn&apos;t buy it for myself but my nine year old loved it, so we may well be buying it again. I hate to admit it, but I tend to enjoy eating a large amount of food which would be classified as junk food. I am especially quite partial to sweet treats such as chocolate, candy, and ice cream. 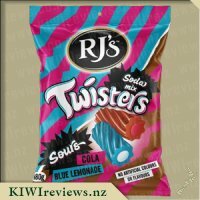 I have tried RJ&apos;s Twisters previously in the past and thoroughly enjoyed them, and I love raspberry cola fizzy so wanted to see if RJ&apos;s could pull this combination off or not. I put my request in and waited to see if I would receive any to review. 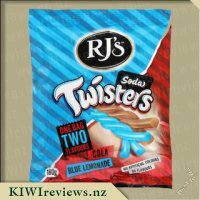 When I saw three of these RJs Sour Twisters Logs - Cola & Raspberry in my box, I was excited and my mouth started to salivate at the thought of trying them. 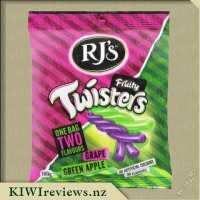 The packaging is quite busy but suits the product, the colours are mainly pink, brown and black, and include a picture of a delicious Twister with a pink inside. The Twister Log was an easy to hold thickness and wasn&apos;t sticky at all. 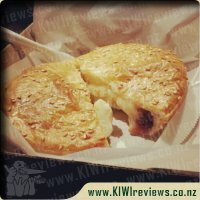 I took a large bite and was pleased that the outer layer was unmistakably cola flavoured, and there was a definite sour raspberry flavour which left my tastebuds tingling. Each time I ate more I was left craving another bite, and sure enough before I knew it I was left with an empty packet. I found out my partner was quite partial to this product when I went to grab another one, only to find that he had already eaten the leftover two. These will be purchased to have on hand in the cupboard as a quick sugar hit, and perfect for when I go on my long walks with the children. Like usual RJ&apos;s always impresses me. I have to say that when my family saw these there was a big fight over who was going to try them first! I politely had to remind them that I was the one who had to review them so it should be me. Sadly, I lost that battle and had to make sure that I hid one up so I got to try it! The Twisters Singles are a great size for adults and for children, I recommend that you cut in half or quarters as this is still sufficient! 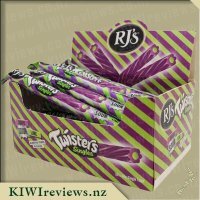 The Twister Singles contains nearly 20g of sugar per serve so I&apos;m not sure I would give my girls a whole one each but they are a treat food and should be treated as such. 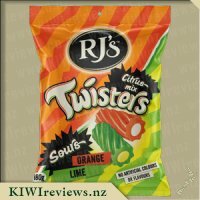 The Twister Singles are different to the Soda Mix twisters as they are bigger in circumference, not as sour and slightly chewier! The cola log has a lovely cola flavour and contains natural cola flavouring. 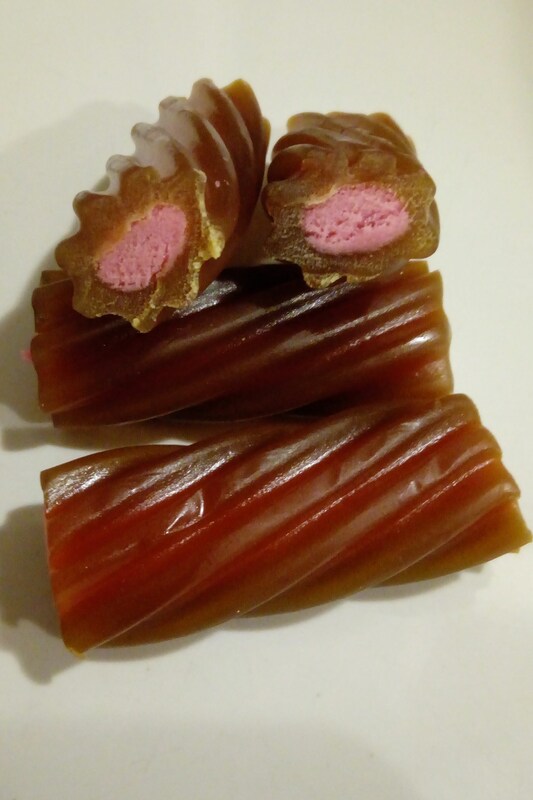 The outside is a smooth cola chew with a twist in to, compared to the raspberry centre which looks and feels, texture wise, like a compressed sherbet and contains natural raspberry flavour. The raspberry and cola were definitely a good combination although the cola was the more dominant flavour. They were very chewy and I did find that they stuck to my teeth. 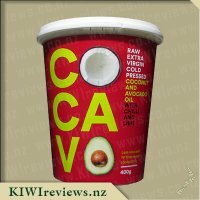 Overall, these were a big hit with my family and although high in sugar, I was pleased to see that they contained no artificial flavours and colourings. I was happy to see that the palm oil used was also sustainably sourced! 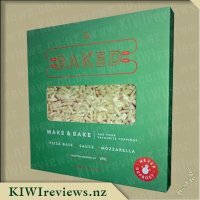 They are reasonably priced and definitely got the family thumbs up! Cola & Raspberry always reminds of going to Burger King when I was younger and making my own post-mix fizzy drink, pouring myself Coke topped off with an inch or so of Schweppes Raspberry. A staple of my takeaway memories. Even now with newer machines, I could still choose to put a shot of raspberry into my Coke. 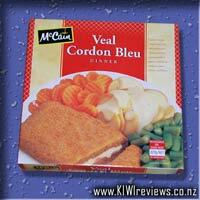 That is what I compare this kind of product to. Earlier iterations of the twisters had 4 cylindrical strips connected in a twist. This allowed you to separate the strands if you wanted to. These sour twisters do not have that capability. This twister is a single piece of cola "gummy" shaped to look like a twister with fine strands, that has been hollowed out to allow a sour mixture to be added. Interestingly, I found this product very different to the sour cola twister pieces in the Soda Mix variety bags. While the flavour is very similar, and the structure of the twister visually looks the same, there are a couple of differences. Firstly, these twister singles seem to have more sour mixture in them (nearly double the amount, ratio-wise). Secondly, the texture is much closer to the blue lemonade variety, with a more solid gummy, that isn&apos;t very sticky (The cola in the soda pack was softer and all stuck together). It feels a strange thing to admit as an adult, but the more solid texture does present a slight choking hazard. The sour mixture in the middle melts in your mouth, which makes it difficult to tell when you have chewed enough, and you end up with large chunks lodging themselves in your throat. That all being said I do have a tendency to eat rather quickly, so maybe I just don&apos;t chew enough, but the frequency that I end up having to cough it back up to re-chew is far too frequent for me to consider it a pleasurable experience. Flavour-wise, it&apos;s enjoyable. The cola and sour flavour work well together, though I would hesitate to call it a raspberry flavour. More bubblegum in flavour, the gritty texture almost reminds me of Hubba Bubba gum. Whether raspberry or bubblegum, the flavour profile works well, they just need to adjust the firmness of the gummy so it&apos;s a bit more melt-in-your-mouth, and less stick-in-your-throat. 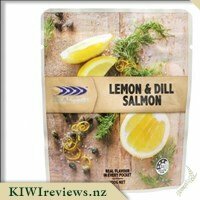 I like the way these little treats come in small packages (40g) as they are just right for a quick snack when you are travelling - they get eaten in one go so there are no sticky leftovers to cope with! The flavour is good for travelling too as the slight sourness is thirst quenching, welcome in an overheated vehicle as you would otherwise be constantly drinking and then have to make extra comfort stops. And finally, the ingredients are all natural; there is no licorice included even though the product is very similar to licorice-based confectionery, and although palm oil is used, it is obtained from a sustainable source. So what about the taste? Delicious! It is not very strong, but I could taste the cola and raspberry separately. I peeled back a little of the cola outer section to check out the raspberry inner, and found the textures were quite different; the cola outer was smooth and soft whereas the raspberry section was grittier. 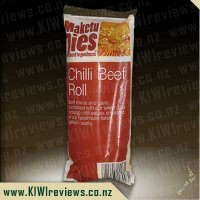 However, when I bit into them together, the flavours merged into a sweet-sour chewy mouthful that was very pleasant. I had asked two friends to help me evaluate the twisters, so we talked about ways we could eat them other than as a snack on a road trip, and came up with the idea of using them to decorate a rice pudding. Rice pudding is a great high-energy food both at home and when you are travelling; you can buy it canned and ready to eat if you don&apos;t want to prepare it from scratch. It is the perfect filler for hungry youngsters who still want more after they have finished their dinner! The big drawback with rice pudding is that it can be boring and a bit tasteless. Sometimes I stir fresh fruit through, so this time we used a twister. We sliced it into cross sections, stirring a few through the pudding and using the rest to decorate the dish. 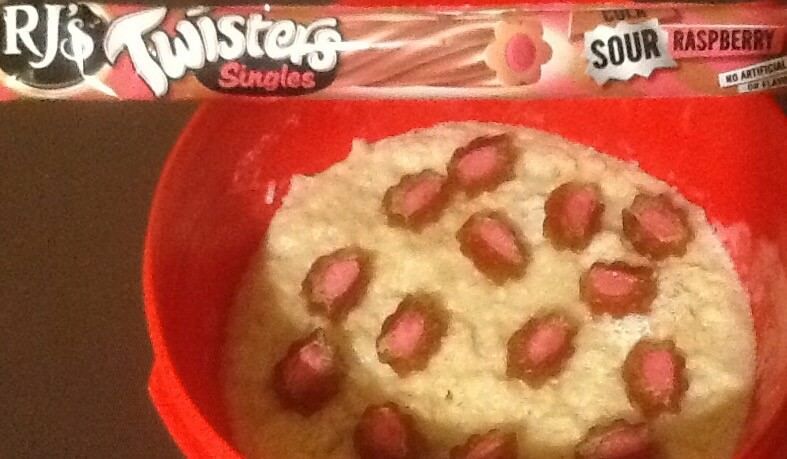 Since we had heated the rice, the twister pieces melted slightly; this brought out the flavour, transforming an ordinary traditional pudding into a unique new dessert treat. The soft rice provided a nice contrast to the firmer texture of the twister pieces. I think next time I might try to source some spearmint leaves (the confectionery!) and add them as well - not only would the green leaves look attractive, but they would add to the combination of flavours. We had one packet left, so I divided the twister into sections and stuck them into one end of our ice-cream cones, just as we sometimes do with a Flake. The ice-cream was hokey pokey; we kept to a plain flavour as we did not want too much contrast with the twister. That worked quite well, although I ended up removing my twister section and finishing it separately as I was eating too slowly and the ice-cream was starting to melt around it. But the boys, who as usual had demolished theirs at top speed, managed to complete the experiment without any further problem with drips. And however we ate it, the flavour was what mattered and we all agreed that it tasted really good. A delicious mix of soy sauce, lime Juice, sesame oil, garlic, ginger and chilli bring beautiful Asian flavours to any salad or stir-fry. 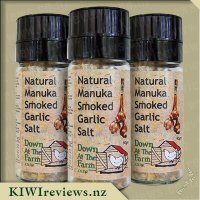 Add extra herbs, chilli or sesame to tweak the flavour to suit your dish.